Built by Vickers-Armstrong, Aldermaston, early 1945. To 6 MU, then 414 Sqn making its only operational sortie on April 13th. Later with 610 Sqn until May 1949. Sold via Vickers after overhaul to Belgian AF as SG108 on April 9th 1951, serving as B2-K and then the Fighter School at Coxyde as IQ-V before sale to a scrap dealer who chopped off the wings. Bought for £250 and returned to the UK, fitted with wings from RM694. Built and restored by Albert 'Bunny' Brookes in the mid 1960s, the main fuselage being brought over from Belgium and another from RAF Bicester in Oxfordshire. Passed through several ownerships. To Strathallan Collection in January 1977. Stored then sold to Spencer Flack in January 1979. 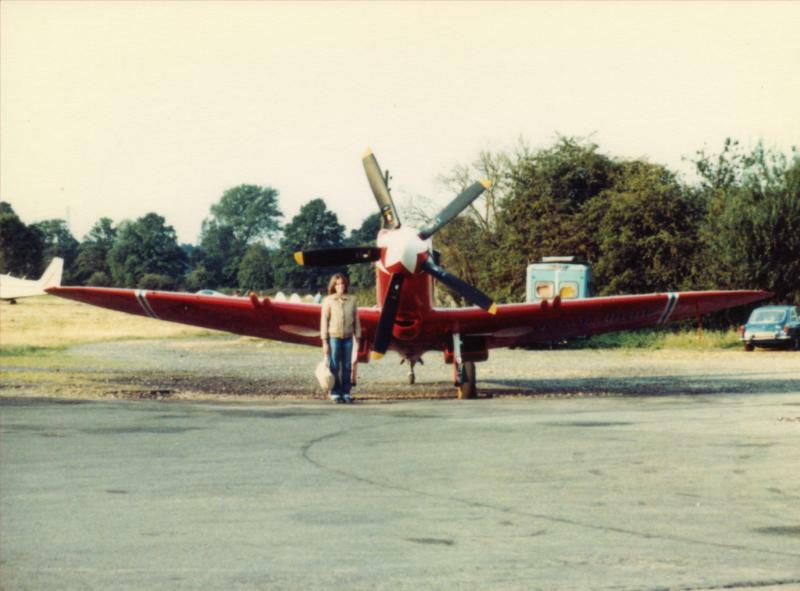 Restored to flying condition and flew at Elstree on March 14th 1981 with Ray Hanna, registered as G-FIRE and painted red with white trim. Sold to Planes of Flame, USA in January 1989, becoming N8118J, then registered to Robert Pond in April 1991 as N114BP.